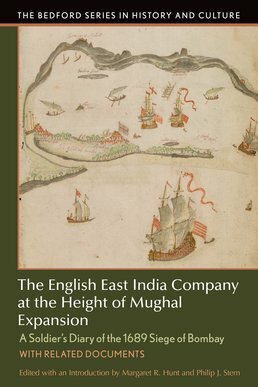 Chronicling the sixteen-month battle between English and Mughal-allied forces, English East India Company at the Height of Mughal Expansion concentrates on how the armed conflict almost totally devastated the island. Using a previously unpublished diary by an English officer who participated in the 1689 Siege of Bombay, the book examines seventeenth-century warfare and social relations while adding historical context to this specific altercation to broaden your understanding of events and the time period. Margaret R. Hunt (Ph.D., New York University) is professor of history at Uppsala University (Sweden). She is the author of several books including Women in Eighteenth-century Europe. She has published widely on legal history, military history, gender history, and the history of ideas of race in the British Empire. She is currently working on a "biography" of a late seventeenth-century English East India Company ship. Philip J. Stern (Ph.D., Columbia University) is Sally Dalton Robinson Associate Professor of History at Duke University and the author of The Company-State: Corporate Sovereignty and the Early Modern Foundations of the British Empire in India. He is also the co-editor of Mercantilism Reimagined, as well as the author of numerous journal articles and book chapters on the political, intellectual, and legal history of early British India. He is currently working on the history of the role of corporations in shaping the British Empire, as well as the spatial dimensions of colonial jurisdiction and sovereignty.